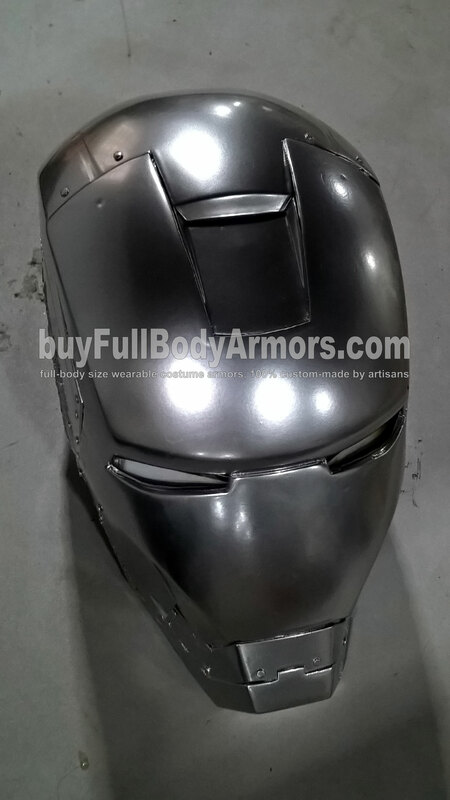 The mirror painting effect is crucial to the wearable Iron Man Mark II (2) project. The following photo shows our recent progress in the chrome silver painting techniques. This entry was posted in News,Iron Man Suit Mark 2 II Wearable Armor Costume R&D Full History and tagged wearable Iron Man Mark 2 armor for sale,wearable Iron Man Mark II armor for sale,wearable Iron Man Mark 2 costume for sale,wearable Iron Man Mark II costume for sale,wearable Iron Man Mark 2 suit for sale,wearable Iron Man Mark II suit for sale,wearable Iron Man Mark 2 helmet for sale,wearable Iron Man Mark II helmet for sale on Mar 29,2016.